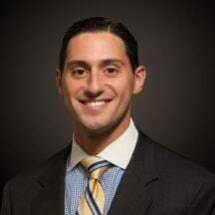 Joseph M. Bonomo is an associate at Pitta LLP, practicing in the areas of both public and private sector labor and employment law in New York and New Jersey, as well as in the area of commercial litigation. •Represents clients in a variety of labor matters including disciplinary and contractual arbitration disputes, unfair labor practice proceeding, and representation cases before various bodies, including New York State’s Public Employment Relations Board (PERB), New Jersey State’s Public Employment Relations Commission (PERC), the American Arbitration Association (AAA), the Office of Administrative Trials and Hearing (OATH), the National Labor Relations Board (NLRB) and various industry wide forums. •Drafting and negotiating various types of agreements concerning labor and employment matters including collective bargaining agreements and settlement agreements. •Represents several multiemployer Taft-Hartley Funds in collection and withdrawal liability actions in state and federal courts and bankruptcy proceedings. Represents clients in a variety of labor matters including disciplinary and contractual arbitration disputes, unfair labor practice proceeding, and representation cases before various bodies, including New York State’s Public Employment Relations Board (PERB), New Jersey State’s Public Employment Relations Commission (PERC), the American Arbitration Association (AAA), the Office of Administrative Trials and Hearing (OATH), the National Labor Relations Board (NLRB) and various industry wide forums. Drafting and negotiating various types of agreements concerning labor and employment matters including collective bargaining agreements and settlement agreements. Represents several multi-employer Taft Hartley Funds in collection and withdrawal liability actions in state and federal courts and bankruptcy proceedings.